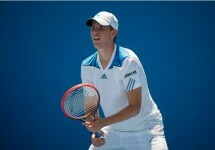 There’s no rest for the top stars after a enthralling Indian Wells with the Miami Open beginning this Tuesday. 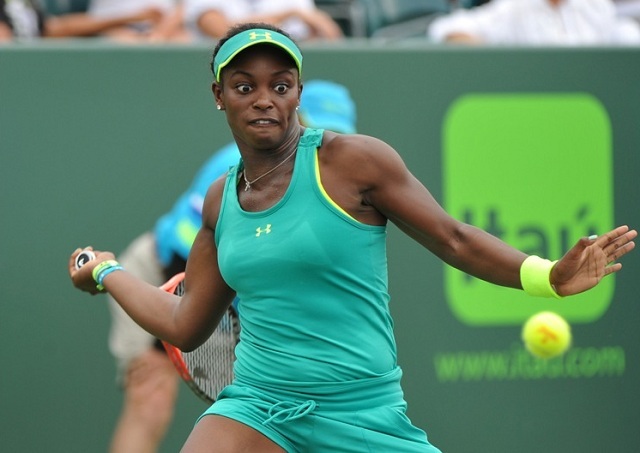 Sloane Stephens looks to defend her title while Serena Williams hopes to win her ninth in Miami. World No.1 Naomi Osaka is likely to hold on to her ranking but an early exit could open the door for the rest of the top 4. The tournament will be played at the Hard Rock Stadium, moving on from the previous venue at Key Biscayne. With a qualifier first up, an early exit does seem unlikely for Osaka. A third round could pose more issues should Su-Wei Hsieh get there. The 27th seed gave Osaka one of her toughest tests in Australia, leading a set and break before faltering against the eventual champion. Garbine Muguruza was showing some signs of a return to form at Indian Wells only to have that smashed apart by Bianca Andreescu. While a loss to the Canadian doesn’t look so bad in retrospect, winning 1 game against the eventual champion is hugely worrying. Caroline Wozniacki will hope to finally get going on the slower Miami courts. She lost her opener last tournament but will hope to go better against a qualifier or Aleksandra Sasnovich. The top quarter of the draw is beginning to look stacked with Aryna Sabalenka heading the rest of the seeds there. The big hitting Belarussian is at a career high ranking right now but may well be disappointed with how 2019 has gone since winning Shenzhen opening week. Amanda Anisimova beat her in Melbourne and will hope to do so again but must beat Anett Kontaveit to make round three. Bianca Andreescu will be the unseeded player nobody wanted to face. The Indian Wells champion is now no. 24 but the ranking change doesn’t apply to this draw. A repeat of the thrilling final with Angelique Kerber is a possibility in round three but it will be interesting to see if the Canadian has a let down following the best tournament of her career. Petra Kvitova is amongst the players who could go to No.1 after this event, although the title will likely be needed. Miami has not been kind to her in the past but she has been a much more consistent player in the two years since her return. It’s a quarter for her that doesn’t look overly scary on paper but 26th seed Donna Vekic does have a win against the Czech already this season. As a three time Miami champion, Victoria Azarenka will finally hope to get her career going again. There hasn’t been a great deal of evidence to suggest that is going to happen any time soon with her record over the last 12 months coming in at just over a 50% win percentage. There is a tougher duo of seeds than Caroline Garcia and Julia Goerges when it comes to making it the last 16 though. Madison Keys hopes to get going in Miami. The American had a disappointing loss in her opener at Indian Wells in what was just her fifth tour match of the year and seventh overall. Two of them came in Fed Cup action, where she lost comfortably to Ashleigh Barty. The Australian is a model of consistency, rarely losing to players considered way below her level. Her only non seeded losses in the past 12 months are to three slam champions in Serena Williams, Victoria Azarenka and Maria Sharapova. Kiki Bertens caps off the top seeds in the upper half of the draw. The seventh seed is already a champion this year and may well thrive in the Miami conditions. She could face a tough opener though, with the possibility of facing Monica Puig and a supportive Miami crowd in round two. The third quarter looks fairly strong, headed by Sloane Stephens. The defending champion generally thrives in North America but will be disappointed by her results this year so far. She followed up a loss to Beatriz Haddad Maia with an even more crushing defeat at Indian Wells, winning just three games against qualifier Stefanie Voegele. Camila Giorgi will hope to catch her on an off day but it may be down to Elise Mertens to defeat the American early. The pair traded matches in 2018 with Sloane winning the bigger one at the US Open. Jelena Ostapenko was the losing finalist last year but has failed to do much to follow up on that. As you’d expect with her play style, it is all or nothing. Alongside her Wimbledon semi final, she has a host of early bad losses on her record. Karolina Pliskova is the other high seed in the third quarter and will hope to take advantage of her status. She had a fairly decent Indian Wells, making the quarter finals before losing to Belinda Bencic. The Swiss is playing inspired stuff now, racking up a whole host of top 10 wins during a winning streak spanning from Dubai to the Indian Wells semi finals. She ran out of gas in her loss to Angelique Kerber there but it will be interesting to see how she bounces back. Bencic was tipped as a player could remain at the top for the long top and that looks a very strong possibility if she is over the worst of her injury woes. The underrated Anastasija Sevastova will offer a tough test in round three, assuming both players get there. 10th seed Serena Williams has to be amongst the favourites given her dominance of the event in the past. Her 8 titles are unmatched at the event with a 13 year gap between the first and last in 2015. She will hope to have recovered from the knee injury that saw her retire against Garbine Muguruza at Indian Wells. It will be just her 8th match this year when she plays Rebecca Peterson or a qualifier. The early rounds of the draw dont seem too challenging with Elina Svitolina the first tough challenge. The sixth seed has a 1-3 record but did win their last match at the 2016 Olympics. Johanna Konta won the title in 2017 but has not really pushed on from that run of form since. She does have a crushing win over Serena in recent times though, dropping just 1 game at San Jose last year. Simona Halep caps off the draw as second seed, hoping to regain her position as No. 2. The Romanian will be disappointed with recent losses to Marketa Vondrousova and Belinda Bencic, even if the young stars are in form. With a sizable number of clay points to defend over the next few months, she will be eager to claw some back having lost in the 3rd round last year. Her early rounds don’t look too troubling with an out of form Daria Kasatkina the highest seed before the quarter finals. The Russian is just 1-6 in main tour matches this year.